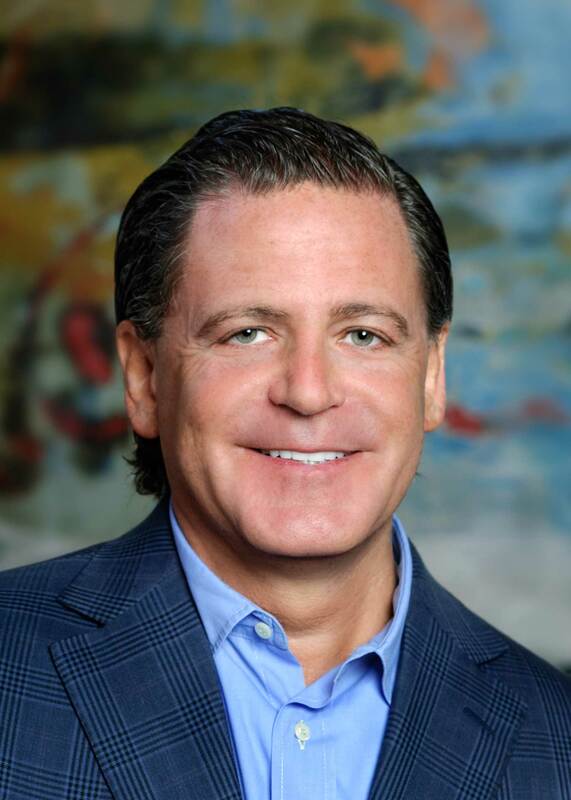 Billionaire Dan Gilbert: Theologian of the Cross? Well, we have at least part of an answer to the question I posed last week: Lebron James cannot come out of his free agency unscathed if he decides to play for the Miami Heat. After announcing that decision on his prime-time special “The Decision” two weeks ago, James became persona non grata in Cleveland. Cleveland owner Dan Gilbert, in a letter to fans on the Cavs’ website, never mentions James by name, only referring to his nicknames in quotes and lambasting his former superstar for the way he announced his decision. Buried in this letter otherwise filled with invective, Gilbert wrote, “Some people think they should go to heaven but NOT have to die to get there. Sorry, but that’s simply not how it works.” This is an amazing statement, temporally and theologically. Temporally, he seems to be equating living in Cleveland with death, which is interesting to find coming from a man who lives in Cleveland and who is writing almost exclusively to other Cleveland residents. James, he seems to be saying, has to suffer the death of living in Cleveland before he can achieve the heaven of an NBA championship. Obviously, on an earthly level, this is not true. No other NBA team or player has had to live and play in Cleveland as a prerequisite for winning a championship. Indeed, no Cleveland team has won a championship in any sport since 1964, when the Browns won the pre-Superbowl NFL Championship. However, in theological terms, Gilbert is certainly on to something. Martin Luther would have called Gilbert a “theologian of the cross.” The recognition that heaven only comes after death is a profound one. We humans often try to get to heaven without having to die. We call it “self-help” or “coaching.” This is what we want from God. “Tell us what to do and we’ll do it!” we say. The last thing we want to hear is what is seems like Jesus is actually saying. “Take up your cross” (Mark 8:34). “Die and be resurrected. That’s the only way.” We see death as the end of our lives, perhaps understandably, and have incredible trouble seeing it as the beginning. This is, of course, why the word of the Law must precede the word of the Gospel. We must be cut down before we can be raised up (and we’re not going to do it on our own!). We must die before we can get to Heaven. That’s the way it works. 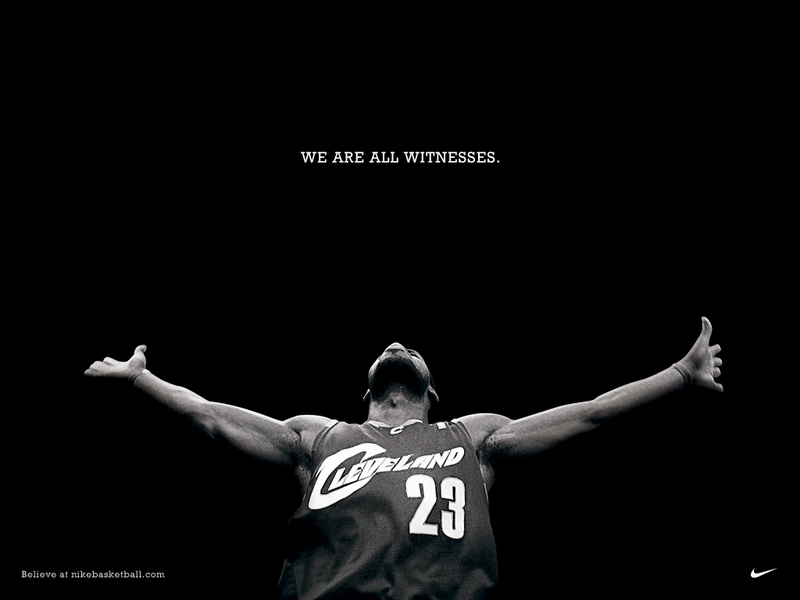 Dan Gilbert on LeBron James: Great theology from an unlikely source. Yeah, only I doubt that's how he meant it 🙂 So, Nick… now I'm daring to go where no Mockingbird ever seems to tread. If I'm breaking protocol (or being terribly tacky and unsophisticated) I apologize, but there's so much figurative discussion that goes on here, I'm sometimes not sure what you guys LITERALLY believe. When you say that you must die before you can go to heaven, am I to assume you mean we must "die to self" (in the spiritual sense) before we can experience the "heaven" of God's saving grace… ? Or do you literally mean that heaven is a "place" or "state" where we go, but only after we physically die? "death to self" like you mention. God is not accessible by self-improvement, only by giving up and letting Jesus do the work (or, more accurately, by believing that Jesus has already done the work). As for your other question, about the literal or physical existence of a "heaven," I'd like to only answer for myself. I do believe in a Heaven, a place or a state where we go where there "are no more tears." In fact, much of my hope, and the reason I can sleep at night, is the assurance of a place where things are as they were meant to be, and are not as they are here. Good answer, Nick. We're on the same page. Thanks for being so straightforward and clear. Margaret E and Nick– Good post and good question and I too appreciate the honest, to the point and straight forward answer. I think that, for me, the counter-intuitive nature of the truth of our gospel hope of "life in death and death in life" gets twisted in my own little fullofmyself head into this irresistible desire to be obtusely cute and think I am being profound. I would only add (see, it's happening again 😉 ) that we can't and never do "give up" or "die" to self-improvement as a choice: God always has to kill us to give us life in him, and he always has to render us "passive" before him. We don't "decide" to be passive or "give up" to God, really. This, by the way, is what a lot of Flannery O'Connor's short stories are doing. It's what Jesus did to the "rich young man", whom, I believe one of the gospels says, "Jesus loved" — before he crushed him flat. This post takes the Lebron/Cleveland template and places it on top of the Jesus/Cross template in an all too loose fashion, not befitting the high standard of Christian speech. I hasten to say that the death of Jesus on the cross for sinners, bearing the full and exhaustive weight of sin for all who would come to him, is of much greater weight than the template you've placed it upon here. One would be tempted, I think, to construe his time with the Miami Heat as a resurrection–doesn't this post play much closely with the figurative and detract from the weight of glory? Be careful, friend! I think that Nick is in good company here w/his analogous treatment of this theological idea—others have compared equally weighty issues to a mustard seed, treasure in a field, a party, and a net thrown into the sea. The "high standard of Christian speech" has never been about the mundane subjects it uses, but the sublime meaning invested therein by the truths of the Gospel. At any rate, a theology of the cross is something different than a theory of the atonement. It is true that, as you said, the death of Jesus on the cross for sinners, bearing the full and exhaustive weight of sin for all who would come to him, is of much greater weight than the template you've placed it upon here , but this is not what is being discussed in this instance. Theologians throughout history have observed (in a variety of ways) that a "theology of the cross" has less to do with the explicit meaning of Jesus's death/resurrection (objectve, subjective, vicarious, etc) and more to do with how to understand our own lives in light of His cross. This is why people throughout history have referred to everyday, earthy things (like living in Cleveland:) to Jesus' admonition to "take up one's Cross." Certainly, the weight may seem disproportionate, but ours is lessened by a deep appreciation of His, and this allows a certain amount of (hopefully reverent, yet relevant) freedom of association. What a great thread. So many great comments, everyone. A special shout out to MC, however, who raises something so important. NOBODY wants their Old Adam to die — even those of us who are good at talking this kind of Theologia Crucis talk! 100% of the time we resist it. The killing action always comes from without and is done TO us — not something we can contribute to in any way. Great question, btw Margaret. I'd qualify the answers you are getting only in a couple ways (which I think Nick and others would agree with). First is that there's not agreement in Christendom that an intangible saved soul goes to heaven immediately upon the body's death. Some believe (with Scriptural basis) that we go to sleep and only really enter into heaven properly on the last day when our body is resurrected. Second, the words "literal" and "physical place" for heaven might mislead people. Generally when we talk about a physical place we mean a place that you could go to given enough travel time. The Himalayas are a physical place, so is Saturn, so is the Andromeda galaxy. But the Christian idea of heaven isn't like that — whatever it is, it's outside our physical world. Likewise to use the word "literal" might be misleading as well, since it might lead a person to believe that all the rich symbolic and allusive biblical imagery for heaven is a literally true description of it. E.g. that in heaven there are really streets paved with gold, that when you go there you will actually wear a crown and have a harp, and so on. But if the words literal and physical are being used to emphasize that the place is real — i.e. heaven is not just a state of mind, or a metaphor describing our earthly existence — then, yes for sure. Jesus certainly has gone to prepare a place for us! And yeah, JDK/MC/Stamp…I'm talking simply about our reluctance to give up and the attendant need to BE KILLED, rather than the (ultimately incomparable) mechanism by which we are resurrected. Ever since I heard the Gaither Vocal Band sing "I Shall Wear A Crown" — that's what I wanted. A crown would be way cool. Sorry I missed these comments yesterday. StampDawg, I think the distinction I was trying to draw with my initial question had more to do with the definitions of "death" and "heaven" than anything else. I was trying to determine whether Nick was alluding to the spiritual "death to self" that we talk of often here (without which we can't experience Christ's saving grace in the here and now)… or actual, PHYSICAL death (after which, at some point, we "go" to our eternal home). I by no means meant to suggest that I was expecting a harp or a crown in some "place" called heaven! I guess what I really wanted to know was whether or not Mockingbirds believe in an afterlife. And I got my answer. I guess what I really wanted to know was whether or not Mockingbirds believe in an afterlife. It is only our fault that there would ever be any question about this or other central tenets of the faith. I think I can speak for everyone here by saying that we would be completely comfortable affirming the creeds (at the very least) and probably the 39 Articles as well, as baseline Christian beliefs. I'm terribly sorry that there was ever any doubt! Although people have tried to make the Gospel all about a psychological theory, the proper distinction between law and gospel is firmly rooted in the historicity not only of Jesus' life, but in our own finitiude. When we affirm, with Paul, that "Christ is the end of the law to all who believe," we do so in eschatological hope–in spe not in res following Augustine. This does not mean that we don't experience freedom from the Law this side of death, because we certainly can, but this is only a foretaste of the day when there will be no law, because there will be no sin. In fact, it is only belief in our literal death and resurrection w/Christ that allows us to see the law for what it is this side of heaven–something temporal and necessary but not eternal. This allows us to affirm aspects of the law (orders of creation, vocation, the various 'uses' perhaps) by knowing that "these too shall pass." For instance. The law: be fruitful and multiply, to a non-married Christian person (or perhaps infertile) is, this side of heaven, something that is terribly damning; however, it is part of our message of hope that this demand can end this side of heaven by Faith in the fact that someday it will no longer exist. The same can be said with any and all demands that, like the 10th commandment "thou shall not covet," only stir up in us all sorts of sinful desires/unbelief this side of heaven. Anyway, there is more to be said about that, but rest assured, none of this actually "works" without faith–and part of the content of our faith is, at the very least, that "we believe in the resurrection of the body and the life everlasting." Jady, thanks for you concern AND your clarification. But don't be distressed. I think that all of you blogging here are already so firm in your beliefs and so well versed in your theology that you assume certain things go without saying. And for most readers here, I'm sure they do. (And I'm sure you probably state them somewhere on this site, too.) Sometimes, when I'm reading here, it DOES seem that you're all talking mainly about psychology, so I just needed to confirm that what I THINK you believe is actually what you believe. I'm probably the only person for whom this has been an issue, so not to worry! It's true that much of what we talk about is concerned with the present, though this is not to the exclusion of future hope. For better or worse, I'm much more interested in talking about issues of the Gospel than in defending the creeds. But maybe the best apologetic for the creeds is to be found by preaching the Gospel. For better or worse, I'm much more interested in talking about issues of the Gospel than in defending the creeds. But maybe the best apologetic for the creeds is to be found by preaching the Gospel. I would agree with this, as nobody is interested in defending something for the sake of argument or convention; however, the two are not so easily or helpfully (if history is a guide) distinguished. We can see this having taken place in almost every generation–and most notably in the work of Tillich and Bultmann in the 20th century on one hand, and the reactionary Fundamentalist movement (both within RCC and Evangelicalism). I have a lot of sympathy for what Tillich and Bultmann were trying to do, and I think that Bultmann's essay on Romans 10:4 is almost unparalleled, but think that they could have benefited from a little more engagement with the creeds and, perhaps, found their message surviving more than one generation. A deep and abiding psychological sense of the Gospel message is a powerful thing, but it must be anchored in something greater than my own experience or it will fail in the face of genuine anfechtung as Luther would have called it. Creeds are like a marriage ceremony, we certainly don't need them to fall in love and even to live happily in love, but there are those times when we need the support of the vows, the "faith once delivered," to provide the comfort and security in times of fear, doubt and uncertainty. This is why, for Luther, the physical act of Baptism was so important–unlike any experience of "conversion," one can point to the specific day/time/place and say "I was baptized there." I view affirmation of the creeds in much the same way. I don't fully understand what they mean, but they connect me to the historical church, the communion of saints, etc. . .
IMSNHO: the loss of the ability to affirm the most basic tenets of the faith—virgin birth, bodily resurrection, trinity, etc—is not so much a triumph of free thought as a failure of conviction, trust and faith. This lack of faith does not put one outside the camp, as it were, but should be a cause for concern, not, as it has been with many in recent years, (cf. our own JT Robinson and Joseph Fletcher) one of celebration. The comment just made by Jady is the most important and perceptive comment I have ever read on this blog. Jady – I'm certainly not trying to defend Bultmann (or Tillich- yikes) and I know that this isn't your point. Though… I'm not sure that Luther would agree with the idea that the creeds can provide one with the same assurance as he found in the external proclamation of the word at his baptism. Interestingly enough, Bultmann actually argued that it is the community of believers which precedes my faith. But I would say that there is a hermeneutical interdependence between the creeds (historical communal interpretation? ), proclamation, and text. The community is created by the proclamation demanded by and founded upon the text, yet the we owe the existence and selection of the texts to a prior confessing community which itself was originated through proclamation. One cannot genuinely pit one against the other without losing all three. All three point backwards as they seek to understand the life, death and resurrection of Jesus, and this reality cannot be understood without all three. All three point backwards as they seek to understand the life, death and resurrection of Jesus, and this reality cannot be understood without all three. I completely agree! I think that we are doing a pretty good job of keeping this balance here, but Margaret's question reminded me that I could be doing a better job. It seems that it is all to easy to emphasize the "reality" of the Gospel while at the same time giving lip-service, at best, to the historical claims of the faith. Like you, I don't think that they can be so easily separated. As you know, I have a great affinity for so-called "Christian existentialism," because it engages and addresses people where they are; however, there is something earthy and grounding about the fleshly assertions contained in the creeds that only helps round out the "Gospel proclamation." In direct contrast to all of these variations on a Gnostic theme, we have a non-abstract, non-spiritual, sweaty, human savior who "suffered under Pontius Pilate, was crucified, died and buried". . etc. And, I don't think Luther would have put the creeds on the same level as baptism, but I'm pretty sure he would argue (with us) against any pitting of them against each other. His small/large catechisms are perfect examples of this. . .
please excuse all of the :)—evidently, I was in a cheery mood. Jady, minus the :)'s, I think we are moving in similar directions. The best defense against reducing Christianity to a psychological/philosophical system of egocentic, timeless truths is the bloody person of Jesus who lived and died 2,000 years ago on a hill far away 🙂 This, of course, does not exclude such truths, only that they originated and are grounded in his person (thanks Karl Holl). This is a great, illuminating discussion… especially for beginners like me. Thank you! The thread keeps getting better and better. Many thanks to Margaret, Jady, and Todd. One thing to keep in mind, and this may be partly where Margaret is coming from, is a lot of us nowadays are having the creeds subverted in the very churches we should be able to count on for this solid good news. Sermons are preached, workshops given, classes taught, and books advertised in the church bookstore — all with the aim of casting doubt on the basic claims of the creeds. Am I off base Margaret? I seem to see a lot of that in the mainline churches today. The thing that is so troubling to me is how the "conservative" churches in their perceived (and self-righteous) corrective to these left-wing theologians and churches, often subvert the Gospel in the sense stressed by Todd (and MB in general). Namely forgiveness extended to terrible recidivistic helpless sinners. So much of the time we get to choose our poison. It's very hard to find places that believe 100% in ALL of the message of the faith — to really believe in the Creeds and to believe in Jesus as the Friend of Sinners. StampDawg, you are completely on base, as far I'm concerned. So many of my ""Christian" friends (and yes, mostly at liberal, mainline churches) are no longer sure they buy into "this solid good news." And what's MORE unsettling is that they don't seem to think it matters one way or the other. And still more unsettling, yet, is that it's almost impossible to tell what their pastors actually believe. I'm not sure sermons are preached and books written for the express purpose of "casting doubt" on the claims of the creeds so much to allow for the widest range of interpretations imaginable. Do you think the claims are literal and historically true? Cool. Do you think it's all symbolic? All a psychological metaphor? Cool. Or maybe you just think it's a beautiful myth, and enjoy feeling connected to your cultural past? That's cool, too! Welcome to our church. Maybe it's just an attempt to cast the widest net possible, in order to catch the most fish? I honestly don't know. But I agree with you that the conservative churches can be harsh and unforgiving… There's a guy who pastors a huge Community Bible Church here, and I listen to him on the radio sometime. A more uninspiring pastor I can hardly imagine! All he ever talks about is God's judgment, sin, and hell… I honestly don't know how he's developed such a following. I highly recommend a book by Randy Alcorn entitled "The Truth and Grace Paradox". The basic theme is that if one is heavy on truth one tends toward "legalism". If one is heavy on grace then the cross is emptied of its power. Both errors badly miss The Gospel. Churches act as "one" by the way, at least until schism. Marriages do the same as well. Imagine a graceless or truthless marriage, either a miserable couple or a divorced one is the result. Churches can reflect this pattern. Therefore, it is important to remember that Jesus was a friend of sinners. Everyone has sinned and fallen short. Also keep in mind that Jesus was a confronter of legalistic, self-righteous Pharisees ("The Good Church people" of his day). In both those type interactions, he never reduced the demands of The Law, which all of humanity is under, by one iota. To quote CS Lewis, "The Law can crack like a whip." That whip fell on The Lord's back. Jesus fulfilled The Law, i.e. paid its price (death) in full. Zaccheus and the Woman caught in adultery (by the way, the sinning man may have skated– or maybe he had already been executed per the requirements of The Law, the Bible doesn't tell us) . . . well, they both met Truth and Grace, inseparable. Wonderful, insightful comments Fisherman. Very helpful. I've never known exactly what it meant that Jesus came to "fulfill" the law. Along with saying that He paid its price (death), could we also say He "fulfilled" the law by living it out, or satisfying its demands, perfectly? That's an equally important part of Jesus' fulfilling of the law. In fact, if he didn't fulfill it perfectly, he wouldn't have been qualified to pay its price. A church father said that. One of our mocking-historians can tell us which one. Fisherman. . . thanks, as always, for your insightful additions! I would add that this "balance" between truth and grace has only been seen and perfectly embodied once. Our attempts to try and theorize a proper way of applying one or the other, like in marriage, are destined always to fail. "Truth" is much more subjective than I would like, and the mandate to "forgive as we forgive those" is much more objective than I want! Certainly, there are objective truths, but what I indignantly support as such often turns out to be a projection of my own unexamined life. Descriptively, it is certainly true that one must have both, but it is only in the event (historical actuality and present proclamation) of the cross where we see that actually taking place. With respect to the creeds, the main reason for affirming them has less to do with upholding objective "truth," as it does with avoiding the gnostic, non-incarnational impulse. We "affirm our Faith," by reciting the creeds, not substantiate our objective historical truth claims:) This is not an a-historical enterprise, however, because by confessing our faith we uphold our belief in the historical event of the cross–not in an abstract spiritual principle. Each of the articles of the ancient creeds were hammered out in opposition to forces that were arguing for the spiritualization (or psychologization) of the historic message of the actual death and resurrection of Jesus: the more abstract, the less profound. Truths, broadly understood, are the law in that they are non-negotiable. Gravity is not something that is dependent on my interpretation! This operates metaphysically as well, for example: the law of sin and death (Rm.8:2). In this sense, as sinners, we are bound to either reject or abuse appeals to "objective truths," in the same way we are bound to use or reject the law to fit our own schemes. It is from this very slavery to the law, to "objective truth," that we are freed by faith—freed to affirm the creeds as those things which, like the law, impinge upon my "freedom," because by faith we have died to the demands of the law. Not incidentally, this is what Paul is arguing in Romans 3:31 Do we then overthrow the law by this faith? By no means! On the contrary, we uphold the law. By faith we have died to the power of the law–to the need to defend ourselves by claims to objective truths–and, paradoxically, uphold the very laws (truths) that we once abused, because we know that our salvation rests not on adherence to laws or affirmations of truths, but on "faith in the one He has sent." Your questions are really on target—we're getting to the heart of things now! Talk about Jesus fulfilling the law concerns the theory of the Atonement, or what was actually taking place on the cross. This is conceptual area that, as you can imagine, stretches the bounds of what we can and can not say with certainty. When we posit the cross as a necessary means to a prefigured end then we are in danger of missing the point of it all together. For example, if we (following Anselm) posit that God is a wrathful judge who has to be paid off by an infinite sacrifice of infinite worth (despite the claims of the OT prophets, Psalmists, and Jesus himself–who forgave people before his death), then we turn the cross into our Christian deus ex machina although without the wires:) Jesus, in this respect, becomes our version of the virgin thrown into the Volcano–what is so special or new about that? Furthermore, the argument has always been, if God is bought off, then how can we call it mercy? If you pay my debt then I am squared away, my creditors are not merciful–they are satiated. In response, people have said that God is merciful even in the act of paying off the debt, which then brings the question as to why a cross was necessary to convey something that God already was. . . Following this–(and much of 19th century liberalism)–on the other hand, there are those who want to argue that Jesus "fulfilling the law," had to do with the Law being Love and he came to show us how loving and great God is and how compassionate–"Look kids, even Jesus cried and suffered, so don't you complain about having to eat beets" or something like that. This also turns Jesus into an afterthought, a way of displaying some eternal truth about who God is and what He means to us. Both fail, in my opinion, to do justice to the actual event. Jesus came preaching forgiveness from God and we killed him. Everyone rejected him because his was a life lived in "fulfillment of the law," whereas ours are ones lived under the curse. The curse is just that, the curse that we destroy goodness, love and compassion by our own sinful, faithless, slavery to ourselves. Jesus fulfilled the law by "loving God and loving neighbor" fully and completely, and thus exposing our total ignorance about who God is and how we are to relate to him. We though it was by works to appease his wrath, but His wrath is that incurred by those of us who refuse to live by faith. Certainly, these classic theories of the atonement have kernels of truth within them, but it is always helpful to recognize that we bring preconceived human conceptual frameworks to the event of the cross to make it less foolish, shocking and offensive. Jady, I'm unclear from your last comment what your take actually is on Christ's death on the cross. His prayer "if there is any other way, take this cup from me" raises all manner of questions, as does Hebrews and much of Paul, concerning Jesus "becoming sin for us" as an "oblation" and "propitiation" for the sins of the whole world. Why did Jesus need to "become sin" for us, why did Jesus need to die, why is he compared to the OT sarifices, but of a higher and permanent order? The Jews, and even the Aztecs, may have been on to something they did not fully understand and certainly twisted, that we, who get our dead flesh wraped in plastic, are too squeamish even to consider. As for your questions, I'm not sure how what I've said would contradict Jesus' prayer. If there were another way other than his substitutionary death for us–on our behalf–to propitiate (and expiate) the just wrath incurred by transgressing our roles as creatures in order to "be like God," then I'm sure he would have been happy to find out! But, I think that with your reference to "dead flesh wrapped in plastic," you mean to say that there is a reluctance to ascribe any redeeming need for the actuality of shed blood–heaven forbid! In this, we've come full circle with the creeds discussion, because it is ONLY through the actual death of Jesus (not a ritualistic, sanitized, churchly one–he was sacrificed outside the camp Hebrews 13:13) that we are delivered, not by subscription to a set of eternal maxims about how God must have done what to satisfy X, Y or Z. But, rather, we are justified by faith–by professed faith in the promise that this is what he actually took place for us. The message we have is that Jesus died for you, because of you, for you, on account of you, with you, etc! What of this is not jibing with your understanding? Jady, I'm not sure what a "work in progress" means. There are certainly many views of the atonement, as there are of the Trinity and of every other Christian doctrine. We are certainly all a "work in progress" and always will be concerning our understanding of God and his work. This does not mean that we can never come to have a particular understanding, limited and incomplete though it may be. However, those who reject the substitutionary atonement have finished their work on that project, at least. It's a lie that is based on a selfish, hateful, vengeful, wrathful SOB of a God. But we've got this dead Jesus that we like, so what do we make of him? On the other hand, one can hold to the substitutionary atonement view, while not rejecting the view that Christ's death is also an example for us of self-sacrificial suffering, or the understanding that Jesus knows and sympathizes with our own suffering because he too has suffered. These views are not antithetical or mutually exclusive. However, many of those who focus on other views of the atonement do so because they totally reject the substitutionary view and are seeking a "kinder, gentler" death on the cross, or are attempting to somehow escape the idea of God's wrath, as counter to the God in which they wish to believe. Unfortunately, they have a lot of Scripture to either reject or twist in order to get there. As I understand your explanation, you are a "work in progress" who accepts the "substitutionary atonement" view, although I am aware that has some nuances within it. Jesus was full of both grace and truth. The key is "full of both". It is not a balancing act– one scale with a measure of truth another with a measure of grace. Going up and down like a see-saw. That is why I capitalized the T in Truth and G in Grace. That is also why I said "inseparable". We divide things into our neat little boxes (right and wrong) and we loves scales like those held by the blindfolded lady of justice. Nope. This is not one or the other. It(The Gospel)is both happening at the same time. That ("is both") may have been proper grammer, by the way. I am not sure. I am a lay grammarian, by the way. Reverend Jeff Miller of The Parish Church at St. Helena's pointed out that when the animal sacrifices, under the Jewish sacrificial system were made, the offeror of that little lamb would first confess his sins, the priest would then place his hand on the head of the lamb and also on the confessor, symbolizing the transfer of guilt from the confessor to the lamb. The Priest would then cut the lamb's throat. Remember– Life and death is in the blood. Real sins,real blood and real death, at least to the lamb, that is. Another, perhaps more powerful, example of real life and death is "the body of death" described by Paul (Romans 7:24). It is believed that Paul was referring to a type of Law enforcement he personally witnessed. In the culture around him, a murderer, as his punishment for his crime, would have the victim's body affixed to him in such away that he could not remove it (bound to him). The murderer would then be sentenced to permanently carry this "body of death" around, ultimately dying from infection. That is an awful death sentence– if faced with the choice I take injection or the chair. To me, at least, that sheds a whole different light on what Paul was trying to describe in his personal struggle with the Flesh. Real Sin, Real blood, real body, real sacrifice. And how can we be neutral about Jesus and his cross? That is a different subject. I close by loosely quoting CS Lewis, "The Lord did not leave us that option (referring to apathetic neutrality) because he did not intend to." I know it can sometimes be condescending to recommend a book, as though "if you just read this, you'll get it." However, in this case, someone has simply said what I want to say more beautifully and powerfully. I cannot recommend Gerhard Forde's "Justification by Faith – A Matter of Death and Life" highly enough. An expanded text of his lectures on the occasion of the 450th anniversary of the Augsburg Confession (Lutheran), I don't find a better discussion of the topic anywhere. It is a small book, easily accessible to the non-theologian. We're fighting the same fight here; nobody wants a sentimentalized cross. . . However, none of these views of the atonement are without their biblical difficulties. I would agree with you that some are more biblical than others, but the fact remains that each major theory of the Atonement brings with it some interpretative challenges. Were this not the case, then we wouldn't be having this discussion. That's what I mean when I say I'm work in progress. . . maybe I should say "one who sees through a glass darkly:)"
Jady, As far as the substitutionary atonement goes, there certainly are philosophical and rational and "God just can't be that way" and "God is love so He can't be wrath" and "God must have better manners than that" objections to be made, some or all of which may be perfectly valid, but I am not aware of any specific Scriptural passages that preclude or deny the doctrine. I am very interested in knowing what those are if they are out there. suffice it to say, the question is which "model" you want to emphasize—rescue from tyranny, propitiation of wrath, christus victor–etc. . . I'm not saying that I agree with those who would argue against a substitutionary atonement model, but it is certainly complicated. I would just suggest that you pick up any historical treatment of the issue for the arguments. Not all are compelling, but they are there. A good place to start would be with McGrath's magesterial "Iustitua Dei"
Jady, I am fairly familiar with the various theories of the atonement and am fully aware of what a complex issue this is. "Wrath" in this ethical sense is not only compatible with love, but in its purest form cannot exist apart from love. Righteous wrath cannot be based on self-concern, nor at its best is it consistent with any loss of self-control such as characterises the primitive emotion of anger…the Report goes on to stress that God's love 'is a holy love, and therefore always actively affirms itself both in condemning sin and also in striving to restore and to remake the sinner' …like traditional Anglicanism as expressed in Cranmer's liturgy and the Thirty-Nine Articles – but not like Dr John – the Report declares that 'The Cross is a satisfaction for sin in so far as the moral order of the universe makes it impossible that human souls should be redeemed from sin except at a cost. Of this cost the death on the Cross is the expression . . . Thus the Cross is a "propitiation" and "expiation" for the sins of the whole world' Of course, there is much more to what the Report says than that; but not less. …the Cross does after all have something to do with God's wrathful condemnation of sin but which is not the same as the caricature that both Reports, like Dr John and many of the rest of us, reject." I agree with every word of that. I also have read Forde's essays in A More Radical Gospel and they are far from clear, but seem to question the substitutionary atonement as based on a "God of wrath" similar to John's objections, but I am certainly open to correction on that. All that I am saying is that I have not read anything in Scripture that undercuts the doctrine of substitutionary atonement, and I have read a lot that supports it. As far as Scripture goes, it seems that the substitutionary atonement rest on more solid ground than the trinity, the virgin birth, or the resurrection of the body. I would be interested in hearing how you would disagree with what I wrote above in response to your question about how I understood the cross? Jady, I agree with what you wrote in answer, and I think we are on the same page here. As I have said, there certainly is much more to Jesus' death on the cross than its "substituionary" significance, but my point is that these other implications do not contradict or exclude a substitutionary view. The problem is that many people adopt these other views because they reject the substituionary view, as with Dr. John. Since I have never read Anselm directly on this, I don't know whether I agree with his view or not. But if we understand Anselm as seeing God the Father wanting and aiming to kill me out of some fit of rage, until Jesus steps in front to take the bullet in my place, that's not the substitutionary atonement as Scripture presents it, in my view. As I said, what Wright says in the quote, and what is explained in the reports he mentions, is my understanding of it.